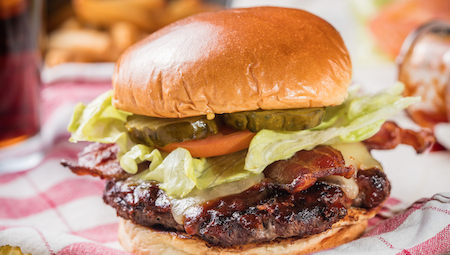 Spice Up Your Next Meal – Take the DMV’s Best BBQ to Go! Leave the cooking to us tonight! 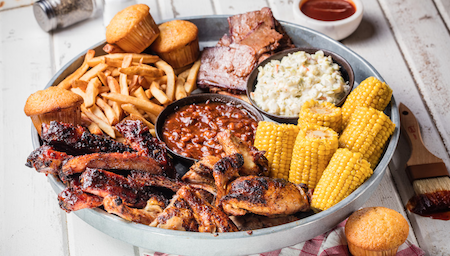 By carrying out Famous Dave’s award-winning BBQ for dinner or lunch, you can feed your whole family and satisfy even the pickiest of eaters! 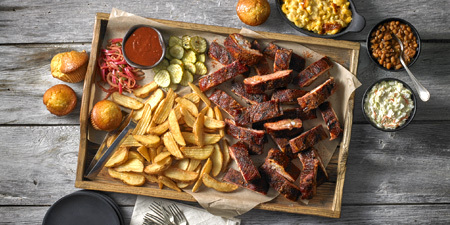 Some of our fan favorites include our delicious St. Louis-style ribs, juicy country roasted chicken, and Texas beef brisket - just to name a few! 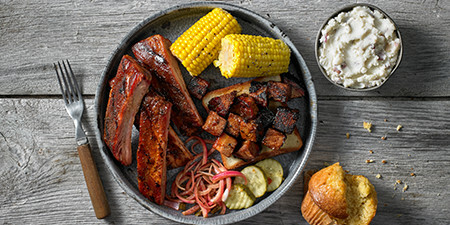 If you’re in need of a little bit of everything, carry out Dave’s All-American BBQ Feast®. 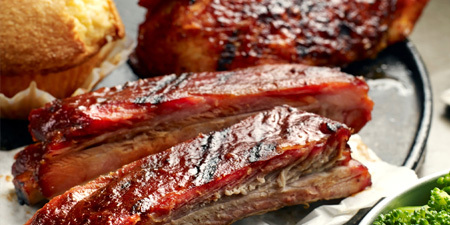 It’s full of the DMV’s favorite barbecued meats and homemade sides and is sure to feed the whole family! 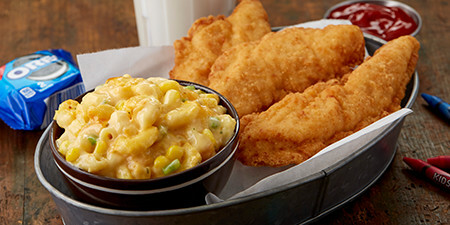 Pick up Famous Dave’s tonight and get a delicious Homestyle meal on the go! Perfect for busy weeknights, picnics, ballgames and any time you just don’t have time to cook. (4830-4890 Cal.) 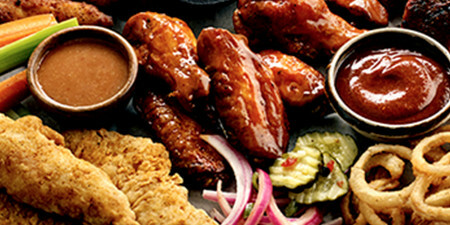 Dave's wings specially-seasoned and tossed in your choice of sauce: Rich & Sassy®, Buffalo, Pineapple Rage®, Devil's Spit® or Wilbur's Revenge®. (1070 Cal.) A real mouthful of hollers! Twelve ounces of hot link sausage best served with an ice-cold beer to douse the flames. (1800 Cal.) Hand-rubbed with Dave's secret blend of special spices and pit-smoked for 3-4 hours over a smoldering hickory fire. Then slathered with sauce over an open flame to seal in the Famous flavor and give them a crispy, caramelized coating. Like yours un-sauced? Order em naked. (1380 Cal.) 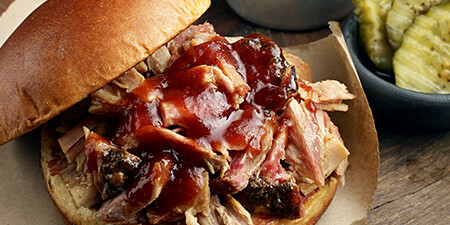 Our award-winning pork is smoked for up to 12 hours and chopped to order. (1190/1230 Cal.) 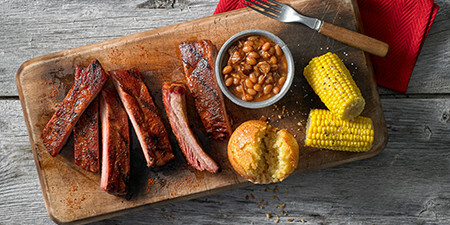 Two slow-smoked options: Original style with Dave's own rib rub then sauced with Sweet & Zesty®; or Memphis-style, rubbed with a secret recipe of herbs and spices, hit with a vinegar mop and served naked. (1300 Cal.) Our classic Texas Beef Brisket is rubbed with a blend of Dave's secret spices, coarse black pepper and a hint of brown sugar, then slow-smoked over hickory until it's juicy and tender. (720 Cal.) 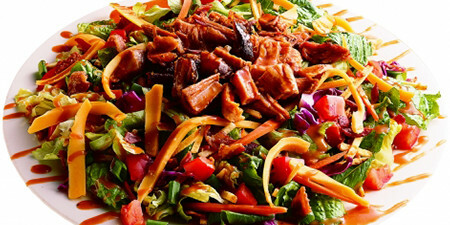 Roasted, pulled chicken tossed in Rich & Sassy®. (1300 Cal.) 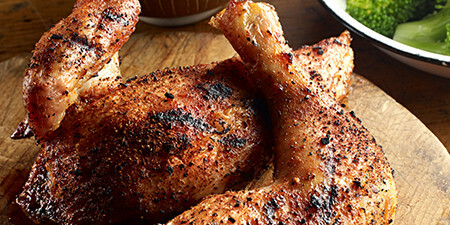 Specially-seasoned 1/2 chicken, roasted and char-grilled to perfection. (1410 Cal.) Country-Roasted Chicken flame-kissed and slathered with Rich & Sassy®. (270-770 Cal.) 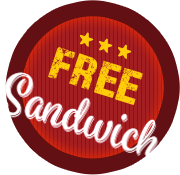 Choice of Wilbur Beans, Creamy Coleslaw, Potato Salad, Garlic Red-Skin Mashed Potatoes, Dave's Cheesy Mac & Cheese, Collard Greens and Fresh Steamed Broccoli. (550-1540 Cal.) 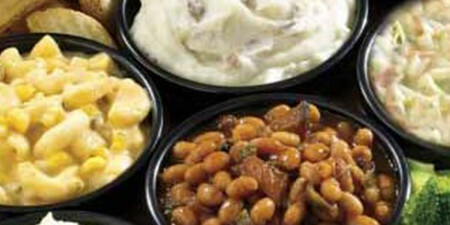 Choice of Wilbur Beans, Creamy Coleslaw, Potato Salad, Garlic Red-Skin Mashed Potatoes, Dave's Cheesy Mac & Cheese, Collard Greens and Fresh Steamed Broccoli. (260 Cal. 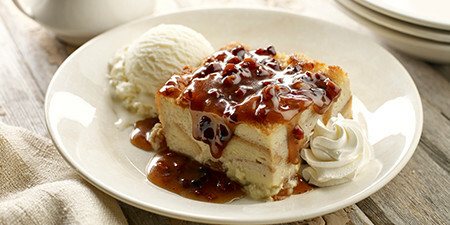 each) Freshly-baked and brushed with a honey-butter glaze. (0-1440 Cal.) Refreshing iced tea, sweet tea or lemonade in a convenient gallon size to go.